Do you need someone to support you and comfort you? 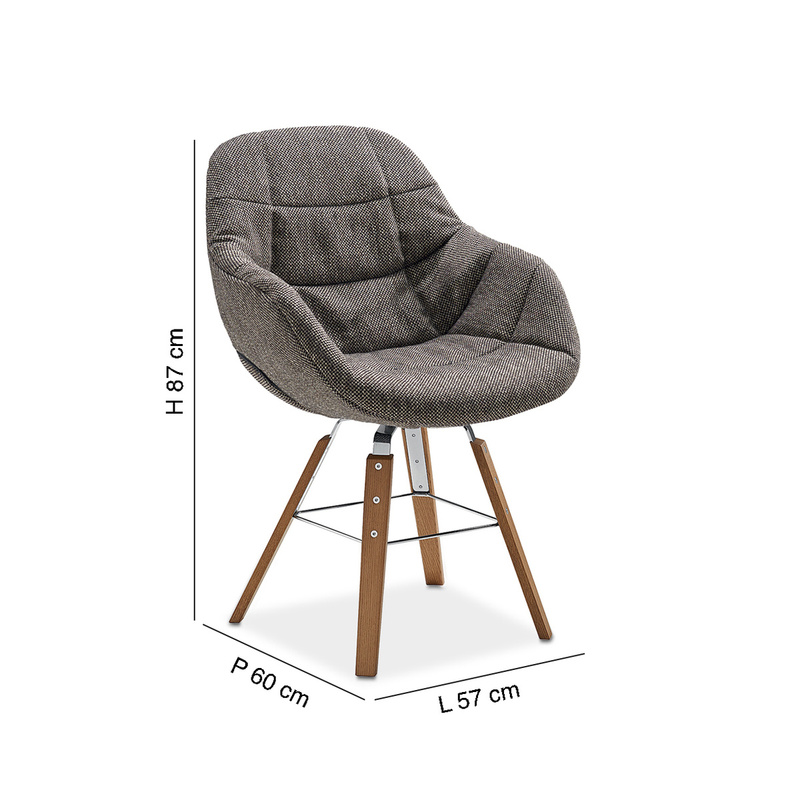 Then choose the Eva armchair! 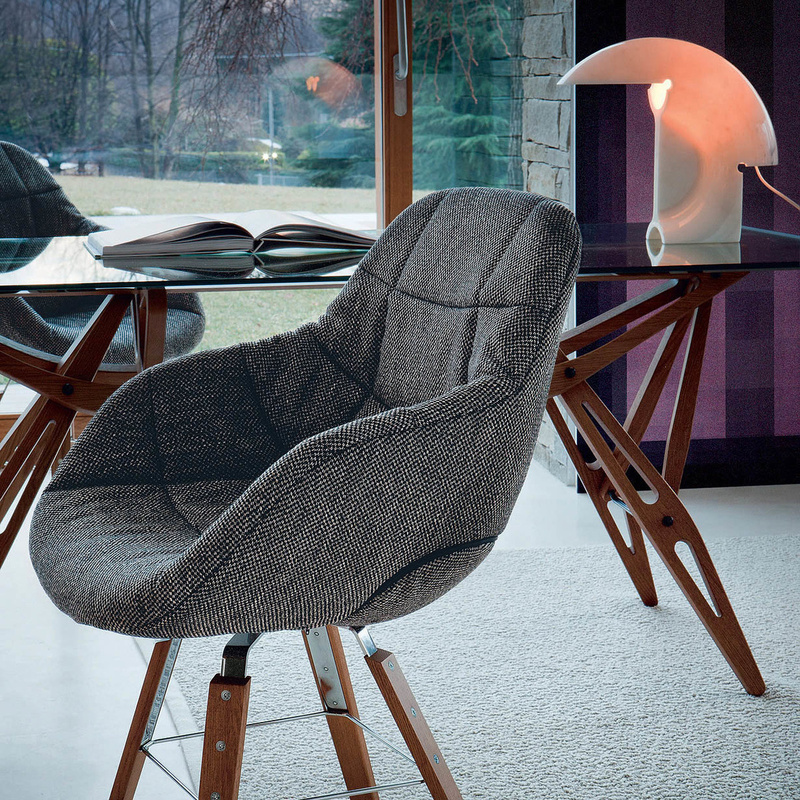 A state-of-the-art armchair that fuses perfectly good taste with comfort, clean and contemporary lines, and a feeling of simplicity that is never trivial, the Eva armchair is the perfect example of a young style, suitable for the new generations who look for exclusivity but don’t want to give up the idea of rest and comfort. 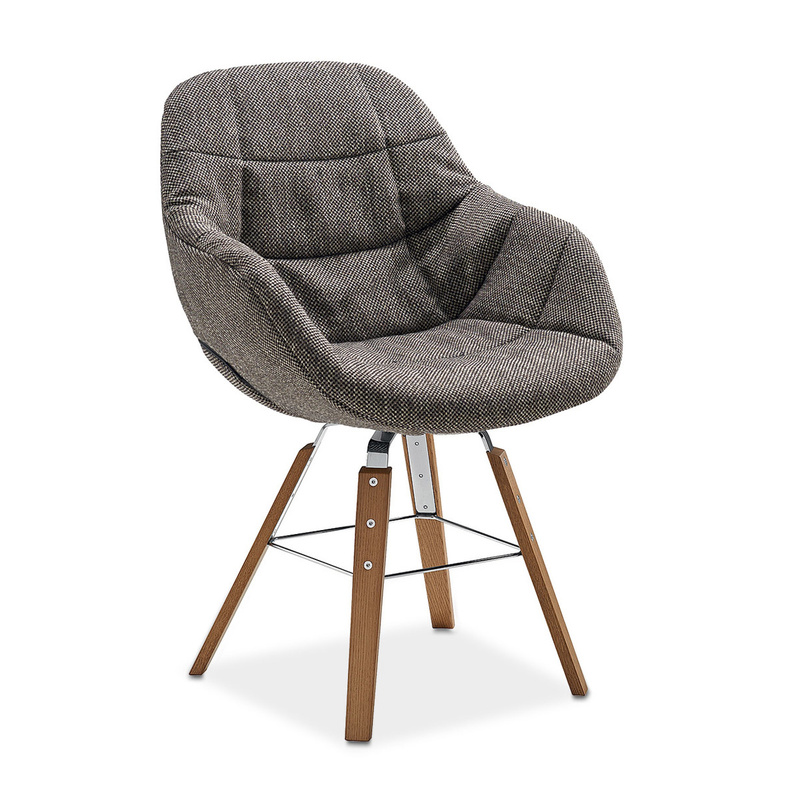 Suitable for both home and work environments, the Eva armchair aims to provide you with the utmost comfort in your leisure moments, either alone or with friends or family. A multifunctional and versatile armchair suited to the different needs of a clientele that is always up to date and never satisfied, Eva is simple but at the same time exclusive, not only for its modern structure but also for the high quality of the materials it is made in. This is an armchair designed with great attention to details to make it unique: a soft and comfortable backrest that caresses your back, legs in stained Canaletto oak, a beautiful fabric lining that can easily be removed, the chromed steel and the polyurethane body that make it durable over time, neutral colours inspired by simplicity and elegance… Eva is an elegant armchair made so for its neutral tones, and perfect all year round! It was designed by the French designer Ora-Ito for the Italian company Zanotta, which was founded in 1954 and has been the leader in the contemporary furnishing sector for several years, offering a variety of furnishing accessories popular for their exclusive shapes and high-quality materials. 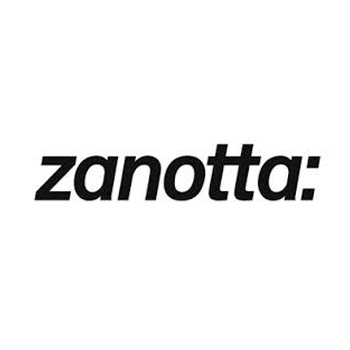 It was, after all, originality that made Zanotta a prestigious and successful company. He was born in 1977 in Paris. 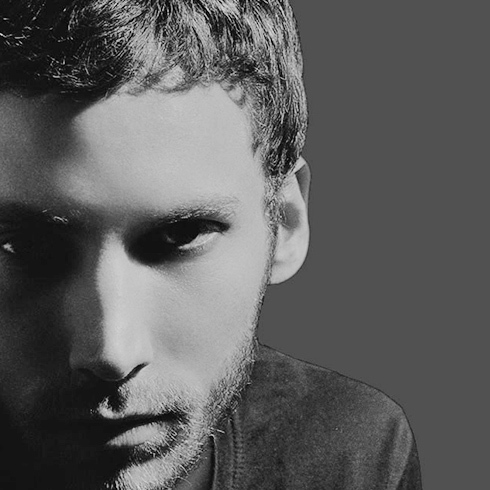 ORA-ÏTO is the name of the brand-label that Pasqual-Ito Morabito has designed specifically for his work. In 1996 he joined the Ecole de création et de design, now known as Creapole. From school at the age of 21 she decides to create her personal "ORA-ÏTO" label that in Sioux language means "creating the imagination". Begin her career by designing virtual objects, using 3D creation tools, designed for her famous generation brands such as Nike, Vuitton, Bic, Apple, etc. For each of these virtual objects, ORA-ÏTO then creates a corresponding "false" advertising campaign. Although none of these objects existed in reality, ORA-ÏTO publishes their advertising campaigns on the press with true advertising pages by appropriating famous brands to make them appear realistic. With the development of the Internet and the success of French underground magazines, the ORA-ÏTO's fictitious collection of products goes around the world and is recognized as the first virtual brand. Fiction becomes reality when people around the world start asking for these non-existent products. Some great world brands discover this new and original way to tie the image and publicity with the future of the Internet and commission ORA-ÏTO the same kind of "piracy" for their brand. Today ORA-ÏTO designs real objects and is considered a polyhedral artist able to sign with a design philosophy a pair of shoes or a washing machine.